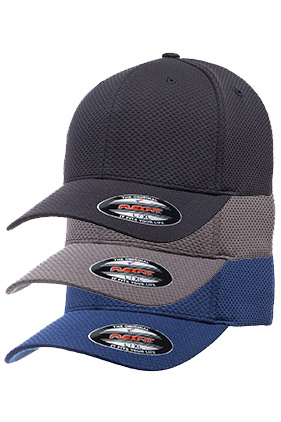 100% polyester Flexfit Comfort® hexagon stretch jersey cap. Structured, mid-profile. Six-panel, 3½" crown. Permacurv® visor. Sizes: S/M: 6¾" - 7¼" L/XL: 7?" - 7?""